I came across this Bloomberg article titled, ‘Trumponomics’ Takes a Heavy Toll on the World, and wanted to pass it along to you as much of what the author enumerates is what I have been relaying all along. I realize that the tariffs issue has taken center stage, and indeed, it is a very troubling situation. It is a politically charged matter and popular with the less learned. Despite the imposition of hundreds of billions in new tariffs the US’s trade deficits continue to widen. But I have to emphasize that the unprecedented fiscal stimulus, which has been dispensed at the height of the current business cycle has the potential to deteriorate the global economy much more quickly and profoundly. The higher rate of domestic growth, inflation, and interest rates has the potential to cause much more damage. I have been driving this point home, because the stimulus program has been embraced by many in the alt-media and pro-Trump partisan camp. The U.S. president has pursued two flagship economic policies since becoming president. One was a mammoth tax cut, which could push his country’s budget deficit to its highest point since 2012. The second is an outwardly aggressive trade policy, including steep tariffs against China and the reworking of agreements with long-standing partners such as Mexico, Canada and the EU. The full impact on the U.S. economy from all of this will take time to assess. Washington has embarked on fiscal stimulus at a time when unemployment was already very low. While that gives the economy a sugar hit, it’s more prudent to shrink public debt when things are going well. The Fed has been called to action in the wake of the artificially-juiced domestic economic growth. The rising inflationary trend and the large counter-cyclical deficit spending is becoming a concern to those financing the ballooning fiscal deficit, which may touch $1 trillion this fiscal year. This is too high at this point in the business cycle. The US government should be narrowing its budget shortfalls as the economy can generate more tax revenue and organic growth. Take, first of all, that fiscal stimulus. 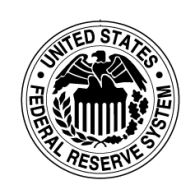 It has encouraged the U.S. Federal Reserve to raise interest rates at a steady clip. The risk is that investors will try to guess at future hikes in a disorderly manner. Last Wednesday, the yield on 10-year U.S. Treasuries rose by 12 basis points in a single day, ramping up bets that they will rise further. Emerging markets are already bearing the brunt. Higher U.S. rates will persuade investors to move their funds into assets denominated in dollars, which will push up the value of the greenback. The Bloomberg dollar index has risen nearly 7 percent in six months and could increase further. I mentioned previously that this also provides the potential for a global USD liquidity crunch. If USD-based borrowing rates continue to rise, the rush to cover USD-loans will grow. Moreover, if the USD continues to appreciate vis-a-vis the other major currencies borrowers could suffer massive losses. The amount of foreign-based USD funding has grown to unprecedented levels. It is difficult or nearly impossible to convince those with hard-wired biases that these actions have the potential to be catastrophic to the global debt markets. In addition, the agenda underpinnings of the America First policy is exactly the worst course of action for global economic stability. Moreover, this policy only helps to denigrate the global standing of the US. This, of course, plays into the agenda for a global government, which makes me wonder why such a reckless economic policy has been implemented. This is going to turn out differently than most are anticipating.